The tech giant is just the latest global company grappling with increasing Chinese consumer anxiety. Other brand names such as Ford Motor Co. and jeweler Tiffany & Co. already have reported abrupt declines in sales to Chinese buyers. 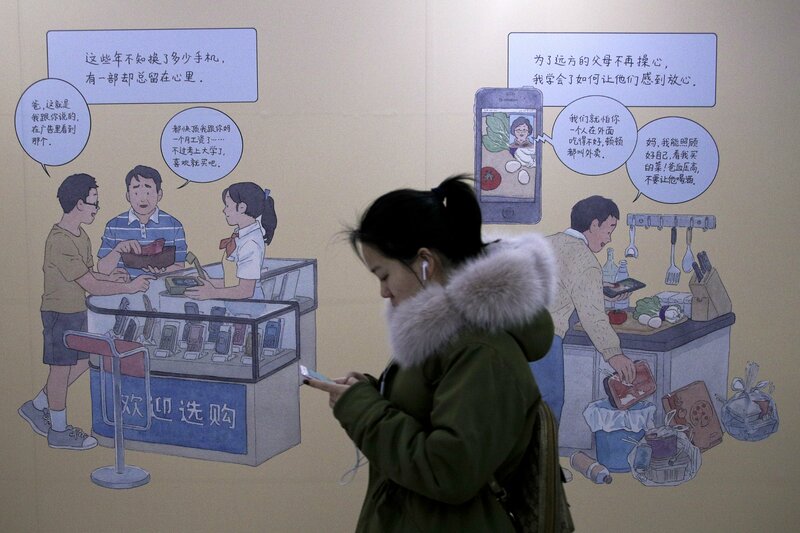 “People are worried about losing jobs,” said Emily Li, a 37-year-old advertising designer in Beijing. She said she is putting off replacing her car or making other major purchases. Shipments in China fell 10 percent from a year earlier to 103 million handsets in the quarter ending in September, according to research firm IDC. It expects last year’s total Chinese purchases to shrink by 8 to 9 percent compared with 2016. China’s third-quarter economic growth of 6.5 percent was stronger than most other major economies, but the country’s lowest since the 2008 global crisis. Beijing has propped up growth with higher government spending, helping to offset painful contractions in some areas. Still, auto sales in the biggest global market are on track for their first annual decline in three decades after plunging 16 percent in November. Soft real estate sales have forced developers to cut prices. Sales to the U.S. market have held up despite Trump’s punitive tariffs on $250 billion of Chinese goods, rising 12.9 percent in November over a year earlier. But that was thanks partly to exporters rushing to beat further American duty increases — a trend that is starting to fade. Apple’s third-quarter shipments in China fell 13 percent from a year earlier to 7.5 million units, according to IDC. Its market share of 7.5 percent put it in fifth place at less than one-third Huawei’s 24.6 percent share. In his letter to Apple shareholders, Cook gave no China sales figures for the final quarter of the year but said traffic to retailers declined as “mounting uncertainty” fueled by the trade fight weighed on demand. Globally, Apple fell behind Huawei to become the No. 3 brand by number of handsets sold in the third quarter, according to IDC. South Korea’s Samsung Electronics was in first place.